If you’re looking to take your business to the next level, look first to the new commercial inventory from Spitzer Motors of Mansfield CDJR. 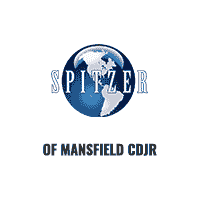 Thank you for visiting the Spitzer Motors of Mansfield CDJR online showroom! Here you can shop for new Dodge Chrysler Jeep or RAM vehicles at our Mansfield dealership. Come visit us to test drive a new or used car today and see why we’re the premier Chrysler, Dodge, Jeep and RAM dealer near Ashland, Marion & Wooster. While you’re visiting our dealership’s website, please browse our large inventory of new Chrysler, Dodge, Jeep and RAM vehicles, plus our collection of high-quality used cars for sale in the Ashland area. We have streamlined the online car buying experience for you, so you can also easily schedule service, order auto parts, find new tires, apply for a car loan and more. Spitzer Motors of Mansfield CDJR is a leading Chrysler Dodge Jeep Ram dealer near Ashland and Marion thanks to our wide selection of vehicles, affordable prices, and excellent sales staff. We encourage you to visit our location in Mansfield to view our great selection of new and used cars in person, speak to a certified sales professional or take a new or used car for a test drive. Whether you’re looking for a used sports car, work truck, SUV, convertible, sedan, coupe or something else, our sales consultants at Spitzer Motors of Mansfield CDJR will help you find the vehicle that works best for you and your needs. Call us at (419) 524-2511 if you have any questions about a new Chrysler, Dodge, Jeep or RAM vehicle that we can answer for you. Our Ontario, OH, Chrysler Dodge, Jeep, Ram dealership serves drivers from Ashland, Marion, and Wooster OH, and is home to many of today’s top cars, trucks, and SUV’s. Some of the top models drivers and critics are raving about are the Jeep Grand Cherokee, the RAM 1500, the Dodge Charger, and the Chrysler Pacifica, all for sale at Spitzer Motors of Mansfield CDJR. Come down and test drive one of our latest Chrysler, Dodge, Jeep, or Ram vehicles today. If you’re looking for something to save you a little bit of money, but with just as much class, our wide selection of used cars near Mansfield is sure to suit your needs as well. Just check out our current specials to make sure you get the best deal and let us know how we can help get you behind the wheel.